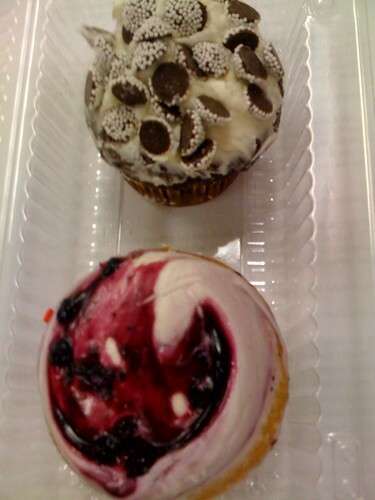 Since I excel at trying cupcakes and never getting around to reviewing them, a quickie review of 2 Crumbs cupcakes I tried tonight. I also found out from a sign on their wall that they are kosher (but not kosher for Passover). I bought two (for a total of $5.90), the blueberry swirl and the Sno-Caps-covered one (that may not be the technical name for it). 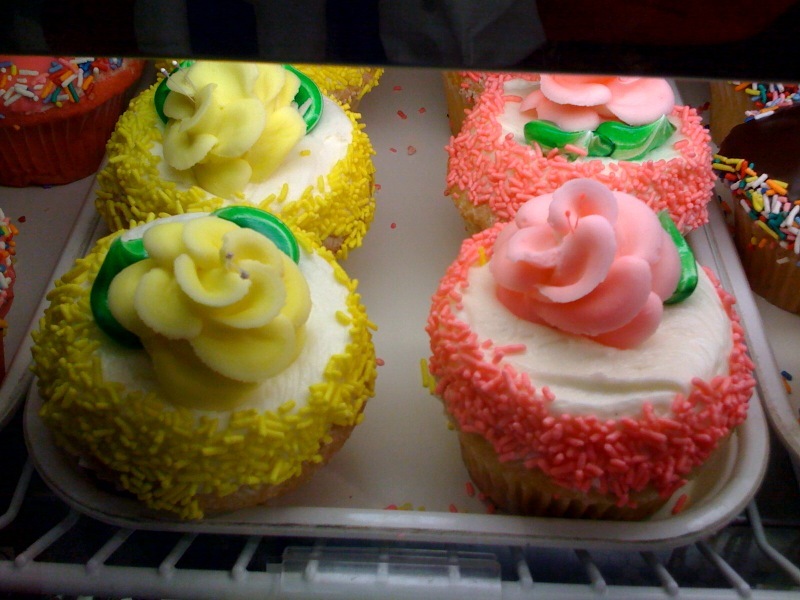 I liked these two because they were on the small side, meaning the size of an average, normal cupcake, not the gigantic overly large ones Crumbs mainly carries. I've had the Sno-Cap one before, but I think in a bigger size. You can't really go wrong with Sno-Caps; they remind me of the movies and are sweet and a little crunchy. I didn't know either of these had fillings. I don't think cupcake filling should be a surprise; it's not like, "Hi, here's an all-expense paid vacation to Hawaii, SURPRISE!" It's more like, "Hope you like this gift cause you can't do anything about it if you don't." 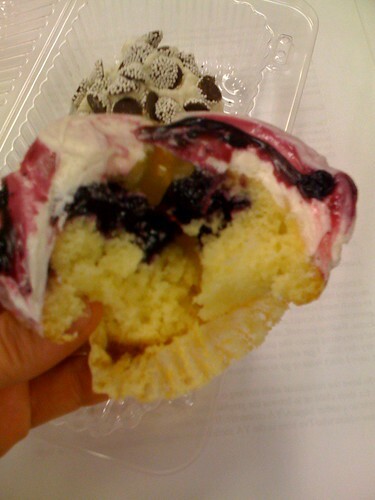 The blueberry filling was basically like blueberry jelly or something. It was a little too much blueberry for me, and the cake was so-so, as was the frosting. I didn't hate it, but I wasn't that impressed. 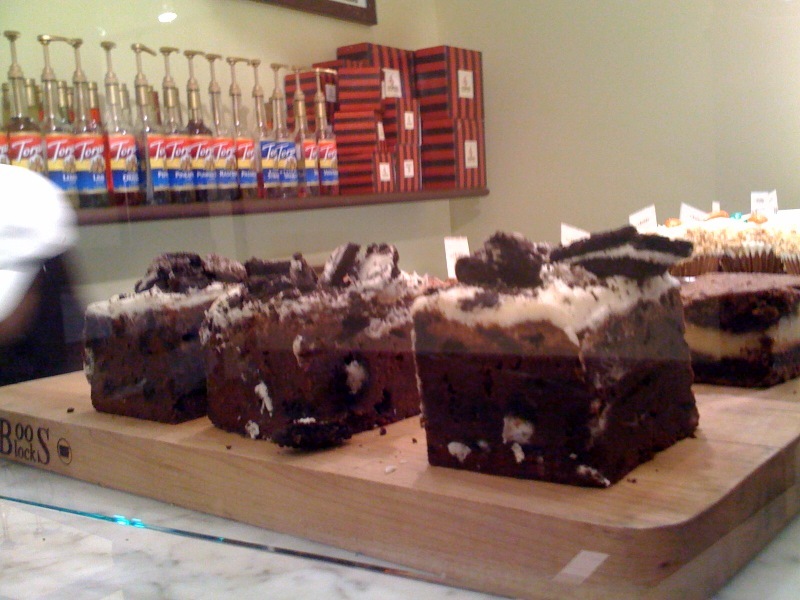 The Sno-Cap one is one of my favorites at Crumbs. 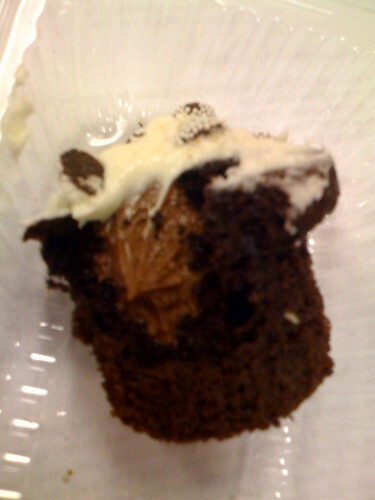 The frosting was smooth and creamy and sweet, but not cloyingly my-mouth-feels-like-it-will-be-full-of-sugar-forever. That's the feeling I get from certain buttercreams, like sugar is invading my skin and pores and just overwhelming me. I was just at a Crumbs on Sunday for the first time and they didn't have either of those flavors. What a great excuse to go back! My friends and I got the 12 mini-cupcake sampler which was a great way to narrow it down to our favorites.